thought it's time to get back to business! EVERYONE. I am sure, once you have read it, you will see how dedicated I am to improving everyone's membership. for your advantage toward your membership. Firstly, I want to share some fantastic news with you. Over the summer period, while everyone has been on their holidays, I have managed to negotiate some cracking benefits toward your membership, including FREE BEER. This has not been my only focus. There are 4 new groups opening with Omni now spreading to Essex and Bedfordshire. The group total has now reached a whopping 20 with the probability of a further 10 groups before Christmas. The extra work from these new groups has generated the need for new team member positions. We now have 2 new Area Directors, a new administrator and finance assistant. 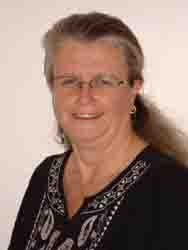 Linda is a member at our Farnborough group, she has introduced the highest number of members to Omni Local, 7 in one hit! 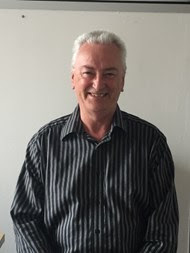 Alan is the new Group Director at the Sutton Group where he displays a very organised approach to business. I know he will be a great asset to us all and grow the group in a positive direction. Stirling has been a huge supporter of Omni Local and due to this relationship, we work very closely with First Payment Merchant Services, an Affiliate Member. Stirling has also been very generous making donations to a couple of local causes. Both Area Directors and I will be including more groups to our portfolios over the next couple of months. EXCITING NEWS COMING…Please continue to read on……. I would also like to give a huge warm welcome to several new team members who have joined us recently by either taking over positions in different groups or setting up new groups alone. There have also been a couple of people who have changed positions or moved into other teams……Seriously, I can't thank everyone enough. JOIN THE TEAM- Positions Open!! Currently because of many changes and new groups opening we are currently looking for new team members. 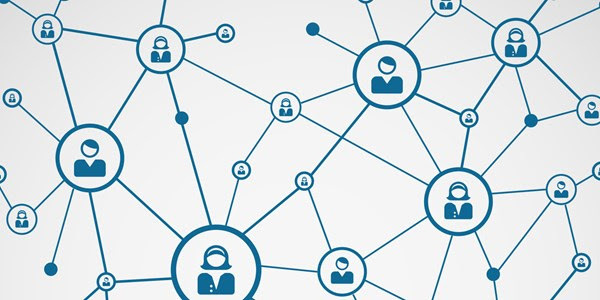 We are the only independent networking which offers actual cash payment for being a part of the team. There are many other rewards as well as FREE membership. Why not get paid to network, while promoting your business? Currently, we have nearly 300 members in 20 groups, and this is the part where I would like to thank everyone who has attended, and give some special thanks to members and team members who have gone the extra mile…..
Special thanks (no particular order) - Mark Behling, Mark Huges, Virginie Savard, Eny Osung, Kate Lemon, Martin Castle, Jon Davis, Linda Ashworth, Peter Messervy, Felicity Leicester, Michael Eve, Elain Sullivan, Karen Palmer, Alan Frost, Steve Alexander, Graham Hudson and Robin Randall. Membership to Omni Local doesn't mean just access to our meetings, and I am working hard on building more and more benefits. Some of these are free and some are optional, but what will be paramount, the investment you make, into Omni membership, will bring a plethora of rewards. Many of you would have seen that Richard Woods from Digital Trailblazer and finalist of the BBC's Apprentice held a LeadGen Summit. The attendance was around 180 people, and more than 20 of them where Omni Teams or Members. This was thanks to Richard offering a huge discount for our members. It was short notice, but we still made an impact. The next LeadGen Summit is going to be on the 17th January. Omni and Richard are teaming up to offer even more opportunities for everyone to get more from the day. I can't confirm everything now, but what I can let you know is that Omni Members will get 50% off tickets to both the VIP lunch and the Summit. I am going to be working with Richard to try and double the attendance this year, so booking your tickets as soon as you hear about this is strongly advised. VERY IMPORTANT CHANGES!!! -- PLEASE READ! Some new changes are coming to our membership. One of the first things I must let you know is, we are going to have to register for VAT soon. This means any NEW membership renewals and new membership applications will be subject to VAT. I expect to register for VAT around October time. If you would like to renew your membership before we register, VAT won't be charged. Take a look at your membership now, and if you want to renew your membership in advance, please let me know. Currently, Legend membership includes FREE breakfast at the group where you have joined. From October 1st all Legend memberships will no longer include FREE breakfasts. Please don't panic! -- If you already have a Legend membership, then your free breakfasts will continue until your renewal date. Why not top up your membership to Legend and get FREE breakfasts until October 2018? Legends are limited to just 3 per group. Some already have legends, so please call me ASAP if you want to take a Legend Membership or upgrade your membership. I am always looking on expanding the teams, and I would like to announce a NEW Team membership Ambassador Role. There are some great people within Omni Local Business Networking who really give a helping hand to the whole of the Omni business. I will be approaching some people to offer them an Ambassador Role. Don't wait for me to ask, if you would like to become an ambassador to Omni Local Business Networking, please get in touch. There are some rewards, including frozen membership. If you want to know more, please call me on 07898 870 870. We are until now, the only network in the country that offers actual cash back on your membership! If you introduce someone to Omni Local Business Networking, and they join as a member, we give you cash back of up to £30.00. On average we have been paying out around £600 in cheques with just 13 groups. One of our highest cheques paid out has been £210 to a single person, and we have one regular member who is getting payments every month of around £120! We have recently changed our banking procedures, and we no longer have cheques to hand out at the end of each meeting. From now onwards, we will be issuing Omni Local Virtual Cheques. You would then need to invoice us for your commission. These will then be paid at the end of the following month. Our Cash Back reward does not change anything…..Simply, if you introduce someone who then joins Omni Local Business Networking, we will reward you with up to £30.00. We are going to be running a NEW reward called OMNI OCTOBER! In addition to our usual reward of £30.00, we are now offering an extra £100 to who ever introduces the most members in October! -- Get inviting NOW! Everyone who joins Omni Local as a Member will now receive a Welcome Pack! We are still negotiating; however this will include offers from our Affiliate Partners, along with a most recent Newsletter, Membership Card, A Cup, A Coaster, Pen and a Name Badge. We will be distributing these before the end of September (all going well with the suppliers). Second bit of good news! Again, I have a great offer as part of your membership! Best Is local is a NEW local reward and loyalty card, which is funded by local retailers and businesses paying an annual subscription to offer unique discounts to members who have registered for a card. Secondly, every Omni Local Business Networking Member will get the first year FREE to advertise a Unique discount or offer on BiL website and if you renewed with BiL you can have the service for just £49.00 per year. This would normally cost around £249.00 per year. This is a cracking chance for you to promote your company to a brand new and fresh database of people looking for your type of business. The last is, in true Omni Style, if you can recommend a local business or retailer to register, they will have the first 6 months FREE. On top of this, when they join, BiL will say thank you with cash rewards. With or without the reward, there will be more opportunities for you to get special offers in your area. This is all subject to your membership to Omni Local. You will get an email from Best Is Local in September along with your new membership card. And the good news keeps rolling! EasyCarCare is also linked with Best Is Local BUT we have agreed an additional membership offer! A total value of over £500.00. Standard membership for this is £99.00. As an Omni Local Member you can have this offer for just £69.00. What's more, it's not just limited to you, EasyCarCare have unlocked this offer for your Friends and Family. This means you can pass on your EasyCarCare membership for them to use. This is strictly for Omni Local Members ONLY! This is not compulsory, but what a fantastic offer! Look out for this one, you'll get an email on behalf of EasyCarCare this month, about this offer. If you go to the Embankment meeting in London, on your next meeting, why not have a drink on us? Scroll down, fill out the form. They will send you a voucher, and when you come to the meeting on 18th September, claim your free drink! Please allow me to introduce you to Sue Riney-Smith. Sue and I have set up a new networking magazine, and guess what its going to be called???? It has always been my mission to publish a networking magazine and in October 2017 we will be launching the first ever Omni Networking Magazine. This is an exclusive Omni Networking Magazine for now and we will be publishing three times a year, which will be published both online and a copy sent out via post for FREE to ALL members. You will also be able to pick up a copy of the magazine at the meetings. Although the magazine will be professional, I want to make sure it's fun to read and reflects the great ambiance we have at all of our meetings. 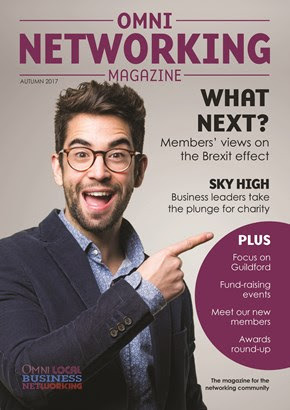 It will be packed with insights and advice about how to network, business tips and advice and editorials from the professionals within the network. As the network grows so will the magazine. Space will be limited for the first couple of issues, so please let us know if you want to be featured! We will have different price levels, and there is a Members discount on the advertising rates. There is also an early bird discount…..
Sue will be in touch about this from the end of September. I hope you can give us your support and invest in speaking to the whole network. It's really hard to get your business going in the right direction. Everyone sometimes needs a little cash as short term boost. I have just tested this theory that a little help can make all the difference with one of our members, and it has been very useful. So, from January 2018 I will be launching an Omni Fund. The Omni Fund is there to help some of the struggling independent businesses who are Omni Members. Every three months, I will be offering a small INTEREST FREE loan up to £250.00, to anyone who may need a little boost for such things as leaflet distribution or help from one of our members. The terms and conditions will be discussed on an individual basis. Please feel free to call me and arrange a chat. I have been talking about Networking Training and workshops. Please note this is not one of those funnelled sales pitch, I won't be trying to up sell you to further courses. We have all been there, you sit in a seminar for 3 hours, lose time and money while listening to how great someone else is, and how they can change your life, only to find out its a 2 hour long sales pitch. THIS IS NOT ONE OF THOSE! 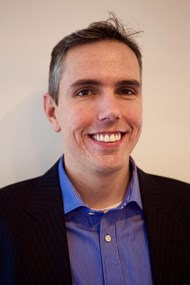 Even if you are a seasoned networking, been networking for a while or new to networking, I will show you how Networking is the best way to find business. 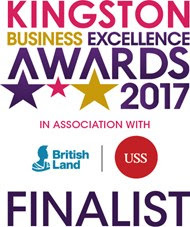 I am really very proud to announce that Omni Local has been nominated for 2 of the Kingston Business Excellence awards! I won't find out if we have won until the Awards Ceremony, and we are up against some very strong competition….so fingers crossed. Have no doubt, I'll let everyone know! Keep your eyes open for the next newsletter! 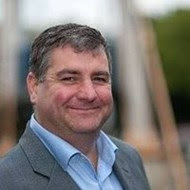 I want to close by saying Thank you for all the support everyone has shown Omni Local Business Networking……. We have some great news! -- Fabulous Women and Marvellous Men Network has agreed a great collaboration deal with Omni. From the 1st of September, if you are a member of Omni, and want to join FWMM you will get a whopping 20% off their membership. In return we are offering their members the same deal. This just adds to the list of benefits of joining Omni Local Business Networking.